Hello! Just a reminder, if you register your email address and create an account, you will be emailed any updates that are published on this WordPress. Writing has been going a bit slow recently, with not much time to write being the summer and all. Work mainly has been getting in the way keeping me from focusing on much needed stories. 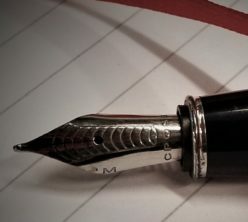 And to make matters worse, I have lost the urge to write on the computer, and have turned to a dip pen and paper to write with. These stories that some of you have been following have been written on paper instead of typed into the computer, and transcribing them just has not been that high up on my priority list. The Sarah Keys Captains log has been continuing in the nine and a half chapters on paper, but have not made it to the computer. As usual, most of my writings are unedited, so they contain many errors and grammatical errors. I thank my few readers for putting up with the errors, and hope you all will put up with my lazyness. Yet more time at Lake Pillsbury! Its always fun to enjoy the waters with your friends and family! And in case you are wondering what the music is? Check the descriptions of the videos, and you will find the artists name and a link to their video and social network links! And of course, if you like the videos, hit the like button and please subscribe! Now here is an interesting video that I made. I took my Go-pro session, and using the floating hand grip, a piece of string, a crescent wrench, and a rope, I was able to get my camera to float just a foot or so off the bottom of the lake bed. Now what surprised me when i did this when I later reviewed the footage, was that the music that I was playing in the boat was heard underwater. Now I cant name the songs, however it produced a cool sound underwater and creates a relaxing sound. Plus I was a little surprised about the fish friends that showed up to investigate the camera! So I was able to finally get a hold of a Go-pro Session that I am using for the recording of the many interesting things i do in my life. And to start, here is a May weekend to start with! If you like the videos, hit the like button and please subscribe! If you tried to access the site recently, you may have noticed that the site was either, completely down, database was corrupted, or the site was missing content. All of that was because recently I decided to switch my hosting providers. I used to host this site on my own network, but when I renewed my email subscription on my domain, I ended up getting some hosting along with it. Currently, I am hosting this site on GoDaddy servers through C Panel. It seemed to take me a week of after-works to get hopefully all of the content moved over, and hopefully I did it correctly and got everything. Please let me know if I missed anything! Sorry I haven’t been posting much. There hasn’t been anything going on in quite a while that has been noteworthy recently. 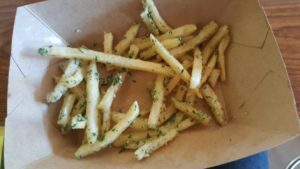 McDonalds Gilroy Garlic Fries? Y/N? OK, so the new Gilroy Garlic Fries from McDonald’s? I finally got to try some, and I am not impressed. The garlic and Parmesan mixture tastes wonderful, don’t get me wrong, but put on soggy fries, it just doesn’t mix. I’m struggling eating these and typing this at the same time. I for some reason was hoping for something much much more. I believe though that the McDonald French Fri is just not suited for the task of holding a buttery garlic Parmesan and parsley sauce without just completely breaking down. And once they get cold, they just become this cold soggy mass. I haven’t yet tried them completely chilled, as i figure the butter would make them completely inedible. or maybe it isn’t even butter they use, but rather that liquid margarine? I will never know as I no longer work in a McDonald’s my self. All of this is giving me an upset stomach. So McDonalds New Gilroy Garlic Fries? Yes or No??? I’ll say no. 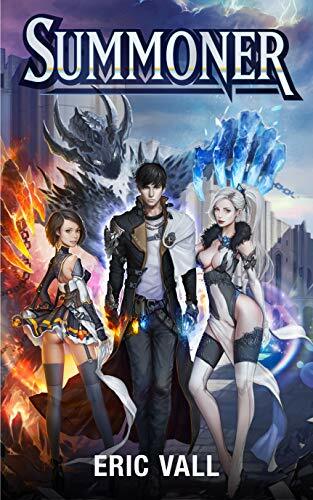 Posted on August 5, 2016 October 13, 2016 Author Twin Blade SwordsmanCategories GeneralTags Bad Food, Garlic Fries, McDLeave a comment on McDonalds Gilroy Garlic Fries? Y/N?